Silvio Caputo graduated at the University of Rome and worked for leading architectural offices before starting his own practice in Milan. 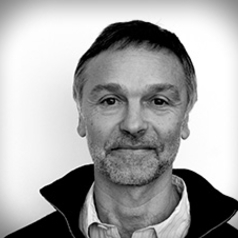 His extensive experience and knowledge in building design and construction processes are complemented with a strong passion for research into sustainable architecture and cities. He holds a PhD in Urban Design and Planning conferred by Coventry University, which focuses on urban resilience, intended as the capability of cities to function sustainably over the long-term. His research interest encompasses resilient cities and practices for social resilience. Currently, within this broad theme, his research focuses on urban agriculture, the design and planning of green infrastructure and issues related to democracy and planning such as environmental justice, participatory methods of design and self-build urbanism. His investigation in urban agriculture looks at the spatial transformation this practice triggers in cities, the cultural changes around food and urban nature this practice implies and finally the recent evolution of urban agriculture, with the adoption of indoor techniques of food production such as hydroponics and aquaponics. He has worked as a researcher in several inter-disciplinary and international projects, including the EPSRC funded ‘Sustainable regeneration: from evidence-based urban futures to implementation’ and the COST Action TU 1201 ‘Urban Allotment Gardens in Europe’, in which he was chairing the Urban Design Work Group. He is at present Principal Investigator of the UK team of the ‘FEW-meter’ international project funded under the initiative JPI Urban Europe, investigating the Food – Energy – Water Nexus in cities. This research project will end in 2021.